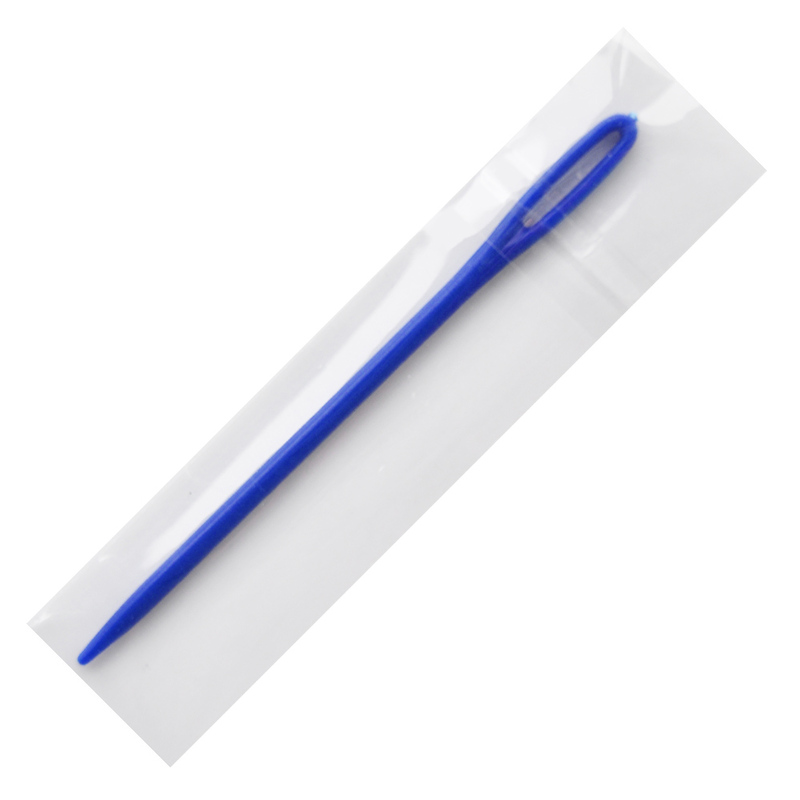 This type of needle packaging is an ideal tool and accessory for needlework kits. The clear cellophane wrapper protects the needle and indeed protects the fabric inside the kit. No more inserting loose needles into fabric …. Kit assembly is made so much easier when using these. They are available in bright attractive colours: Red, Royal Blue, Lime Green and Bright Pink. This needle has a large eye and a blunt round point to protect small fingers whilst sewing. Individually packed these needles are packed in either 250 pieces per colour or 1,000 pieces per colour.